The advancement in technology means live streaming your events has become a much more affordable option than ever before. The price difference is now marginal. This means whether you choose to stream your event live or upload it post event you really need to consider the audience and the purpose of the video first. But it’s always good to understand what the potential problems are and what the benefits of each bring to the table. Expands Audience potential. Is you’re audience international or is your event venue to small to fit everyone in? Live streaming is perfect for making your audience truly global. It’s Live! If your event is exploring something new and exciting and your audience wants to be the first to see it then live streaming is perfect. Live interaction. Live streaming is great if you are looking to start a conversation around your event. If people are online they’ll be plugged into the social network giving you an open dialog with your audience. The Internet – the big problem with streaming is you need a healthy Internet upload speed. Fortunately more and more venues are investing in better Internet. But if you ever decide to stream, this will always be the first question. You really need a minimum of 2MB/s upload but ideally you want to be at 5MB/s to ensure a solid stream. The Internet again –how much you rely on the Internet not dropping out on your end and for those watching online is always a risk. The audience can’t rewind or watch again straight away. If it’s something technical or complicated being shown this could be a hindrance for the audience. It’s live – anything could happen. It’s important to remember that when you’re streaming live what ever happens on camera goes online. The biggest problem we’ve had is mics picking up people swearing. But any number of things could happen that you’d rather not put online. There will be cable runs to each camera. This is mostly not an issue but it can be if the venue isn’t suited to having cables run through it. No need for the Internet. The camera team can just turn up and film. No drama. The image will be crisp High Definition. Streaming in HD relies on the Internet speed at both ends. By creating a real time edit you will always be outputting in HD. Editing! Even though the beauty of a real-time edit is that it generally takes about as long as the event took place, the option is still there to remove unwanted sections before putting it online. Whether it is inappropriate language or sensitive content, you have control over what goes online. Capturing. Before editing can begin the cameras first need to be captured to a computer. The more camera angles there are and the longer the event the more time this process will take. Export and conversion. Once edited, the video cant simply go straight online. It first needs to be exported into a video format suitable for online. The length this takes really depends on the length of the event and how many formats is required. Any buzz around the event may be lost by the time you upload the videos. It’s important to get a strict deadline of when they will go online. This means you can tell the event goers on the day. I’ve tried to outline the main problems and the benefits between streaming and creating a real time edit. Each has its good points and bad and I think it’s always best to look at each event as it’s own entity and decide which is for you. 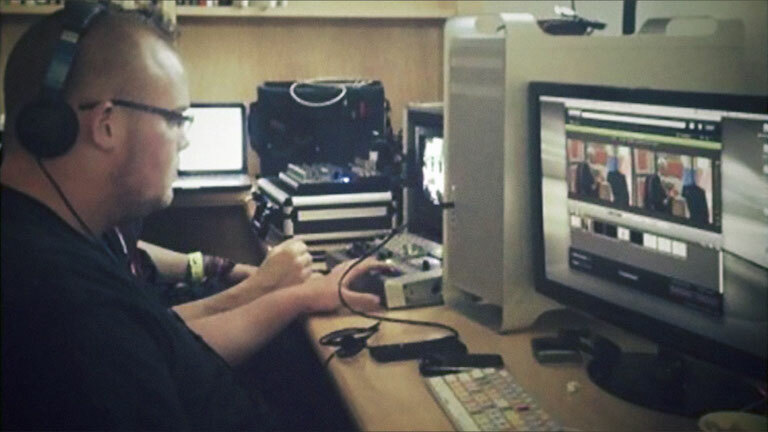 In most cases our clients who stream their events like to have a real time edit to put online afterwards. This isn’t a big extra cost and really gives you the benefit of both worlds.